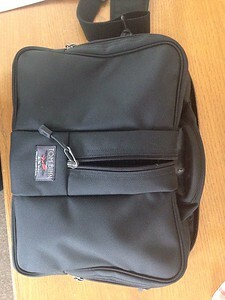 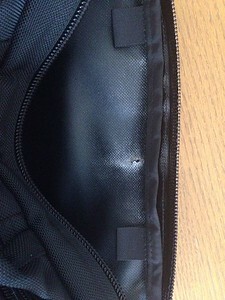 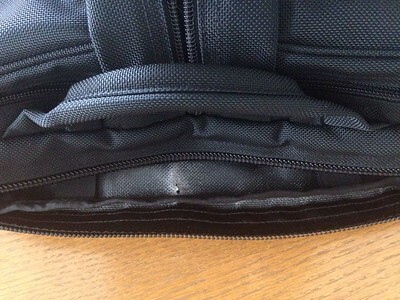 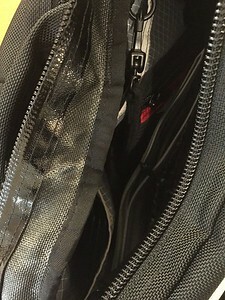 Photos of Tom Bihn bags in action. 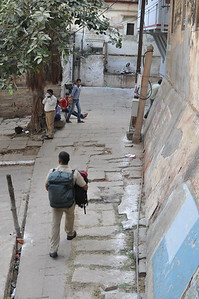 Tom Bihn Aeronaut being carried (upside down) by a porter in Varanasi, India. 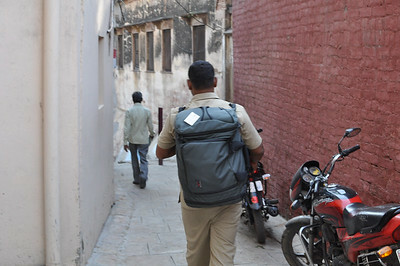 Tom Bihn Aeronaut being carried by only one backpack strap by a porter in Varanasi, India. 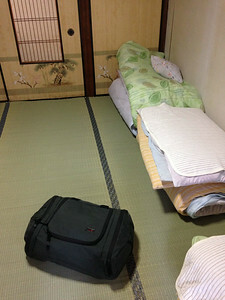 Tom Bihn Aeronaut in a Japanese inn. 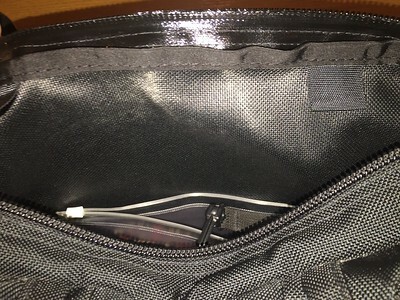 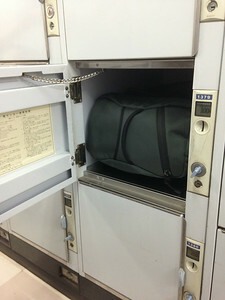 Tom Bihn Aeronaut fits into a Japanese coin locker. 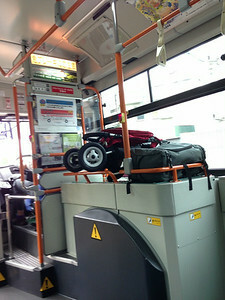 Tom Bihn Aeronaut on a Japanese bus. 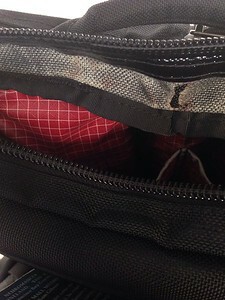 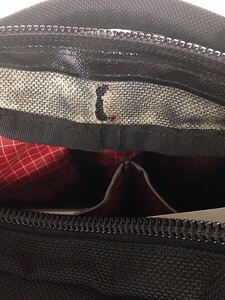 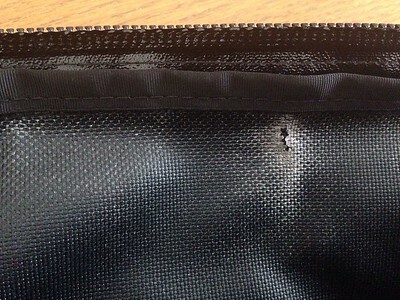 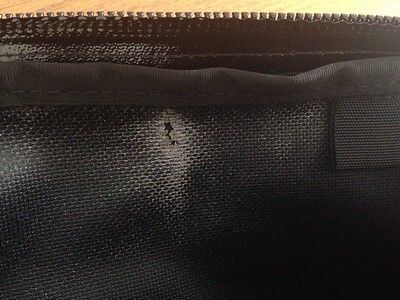 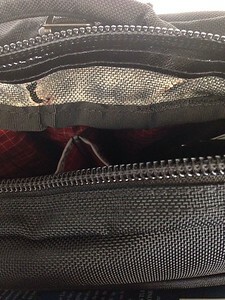 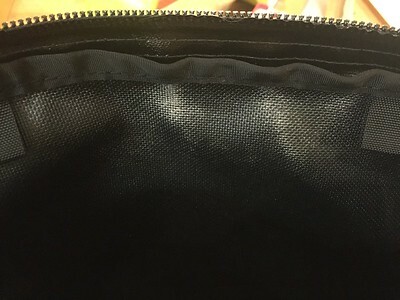 Weird damage inside of black ballistic nylon pilot with red dyneema interior.